What Makes These Jeans So Flattering to Curves? NYDJ (Not Your Daughter's Jeans) is a high-quality denim brand based in Los Angeles, California. 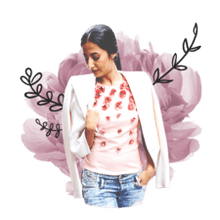 The company was launched in 2003 by fashion industry insider and budding entrepreneur Lisa Rudes Sandel, who had a vision of designing jeans for women with womanly bodies like herself. Today, the NYDJ brand is a multi-million-dollar business that includes a wide range of popular blue jeans in a range of styles and fabric washes, as well as offering denim fits designed for petite, short, tall and plus-size women. NYDJ is sold online at Amazon.com, at fine department stores such as Bloomingdales and at smaller boutiques around the world. Not Your Daughter's Jeans has been the best-selling women's denim brand at U.S. department stores since 2011. In 2013, the company launched a collection of tops that are designed to look good with its various blue jean styles, adding to its growing assortment of contemporary women's apparel. The idea for Not Your Daughter's Jeans got started when Lisa Rudes Sandel had an experience to which many women can relate. While shopping for jeans in a large department store, Rudes Sandel was discouraged when the fashionable brands didn't fit her body properly or seem true to the size on the label. A size six, she struggled to fit into the size 12 jeans on the store rack. She was especially frustrated by the low-rise cut that didn't fit or flatter her forty-ish figure. Instead of giving up on jeans, Rudes Sandel recognized a gap in the market for other women like herself. She was already in the apparel business and decided she wanted to create a blue jean for women with womanly bodies, who wanted to look and feel great in their jeans. Rudes Sandel brought the idea to her father, George Rudes, with whom she worked with at the women's sportswear brand St.
Germain. In 2004, the Rudes family (including Lisa, her father George and her sister, Leslie Rudes) started a new company, named Not Your Daughter's Jeans, with a NYDJ label. From the beginning, the brand has focused on the older, mature-shaped woman as their target customer. In the spring of 2005, NYDJ created a new and lucrative niche market when they launched their popular Tummy Tuck jean line, featuring strategic interior panels that help to flatten a woman's tummy. All Not Your Daughter's Jeans are also fabricated from stretch denim fabric, with a much higher percentage of Lycra than the average jean, providing flexibility and contouring for a curvier lower body. 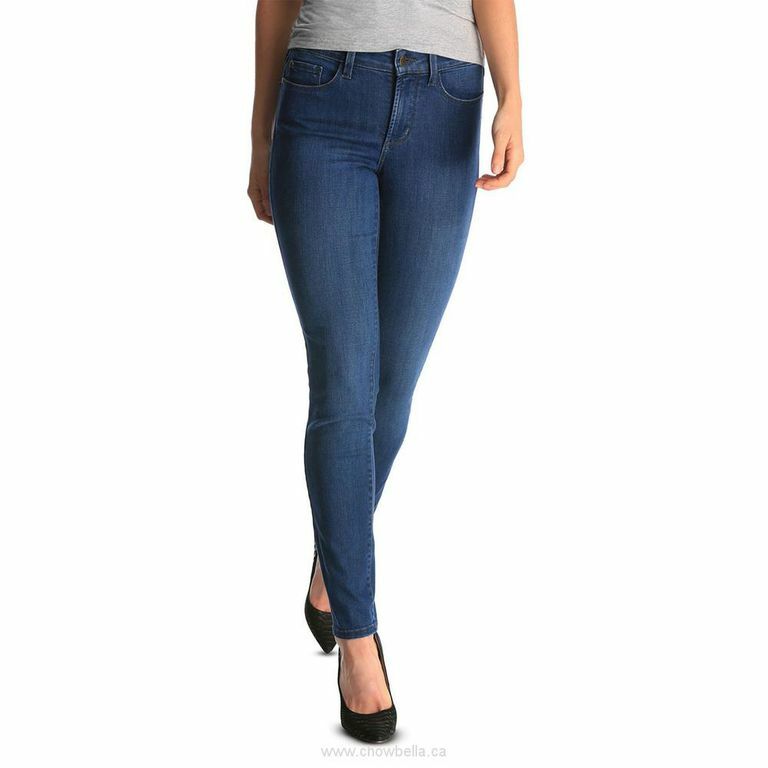 The NYDJ denim brand also patented a Lift Tuck Technology designed to lift up a woman's rear end while shaping curves, to leave you feeling one size smaller. Today, all NYDJ jeans feature this technology. Today's Not Your Daughter's Jeans collection has expanded to include jean shorts, cropped jeans and classic denim jackets, along with a full line of sportwear, knits, loungewear and great maternity jeans. Blue jeans from NYDJ come in a wide range of fits, including skinny, super-skinny, legging (aka jegging), bootcut, straight leg, flare, trouser and cropped styles. These are available in-store and online in sizes 0 to 24. You'll also find petite sizing available -- a great addition for those who are shorter in height with a curvy figure -- as well as long-inseam styles for taller women. NYDJ jeans are made in the United States, from denim fabric imported from China. NYDJ calls itself "the original slimming jean". These grown-up jeans tend to have a higher waistband than the typical designer jean and are sophisticated in style, not trendy. They're also cut more generously cut through the leg, so even their skinny jean fit skims the body's curves, rather than squeezing it tightly. Each pair of NYDJ jeans is designed from premium denim with a high amount of stretch for comfort. Meanwhile, the brand's strategic interior panels and Lift Tuck Technology provide hidden tummy control in front, while lifting up a woman's behind for a more flattering overall silhouette. Celebrities who wear NYDJ's flattering jeans include Ashley Graham, Khloe Kardashian, Connie Britton, Katie Holmes, Kristen Bell and Uma Thurman. In addition to the official brand website, NYDJ jeans are available online at Amazon.com and at major department stores including Bloomingdale's, Macy's and Nordstrom's and The Bay in Canada. You'll also find NYDJ at specialty boutiques across the United States, Canada, Europe, New Zealand and Australia.